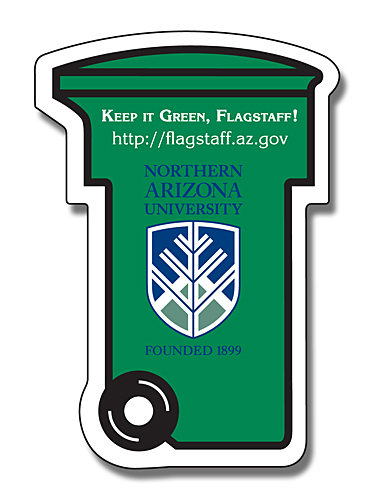 Do you wish to inspire a generation or your targeted customers about cleanliness, then it is always better to seek this personalized 2.43 x 3.5 trash can shaped full color magnet. You can customize it with inspiring awareness messages or your service information or anything as per the discretion. This trash can shape full color magnet can be employed for value building throughout the year due to its inspiring shape and stands easy acceptance from all corners of society. Request a quote to know price benefits on bulk orders of this custom 2.3 x 3.5 trash can shape full color magnet (2.43 x3.5). Product Size: 2.43 in. x 3.5 in.